Have you ever met a prophet? Chances are such that if we had encountered one of the great prophets, more than likely, we would not have liked what they had to say. Prophets often preached a word from God that stood in conflict with the way people were living. When the people of God would stray from godly living, often the prophet appeared on the scene and delivered a message of God’s displeasure and gave words of correction. Because of his message, Jesus called John the greatest prophet of all. 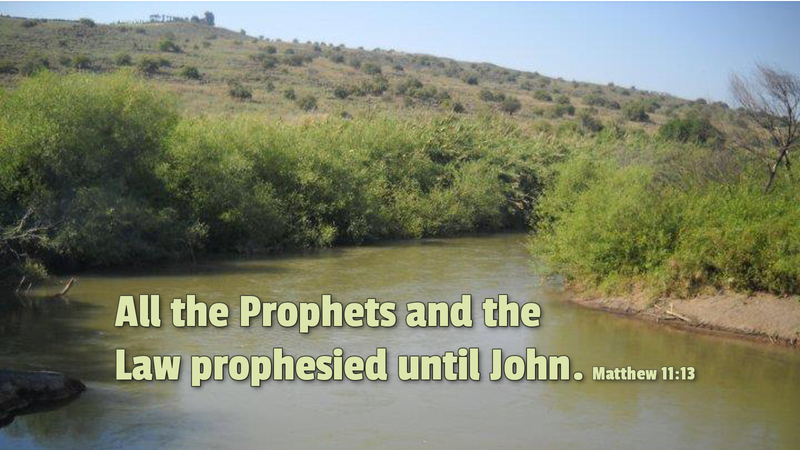 In a prophetic voice, John was the one who introduced God’s plan for salvation through the one who is Messiah and Lord. The word God gave to John was the message Israel had longed to hear for centuries: God is about to restore the Messianic line of David. Today, Christians have the calling to speak the message of salvation and spread the good news of Christ Jesus. God has restored the kingdom through Christ, and invites all people to come into his presence through faith in the one foretold by John. We may not be prophets such as John, but like him, the message we share points to Christ the Lord. Prayer: O lord, give me a voice that speaks your Word so that others may come into your kingdom through faith in Christ Jesus. Amen.